Obtenteur : Ducher and David in 2007. Fleur : deep red, pompons in clusters. Hauteur : 1,5 to 3,0 m.
'Rose de Monplaisir ®' is a climbing rose that comes from two well-known heritage roses: 'Ghislaine de Feligonde' x 'Veilchenblaü'. From its father, it inherited pink flowers with mauve reflections and, from its mother, flexible carriage and nice foliage. 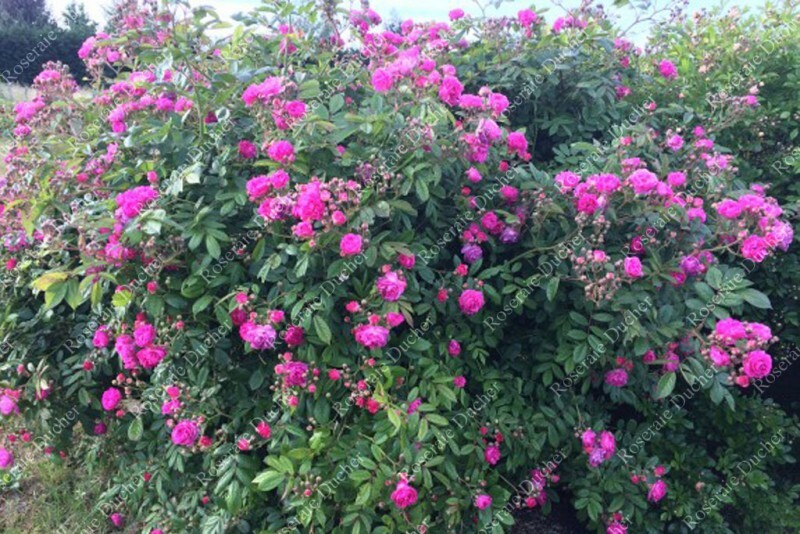 It can be cultivated either as a shrub or as a climber. 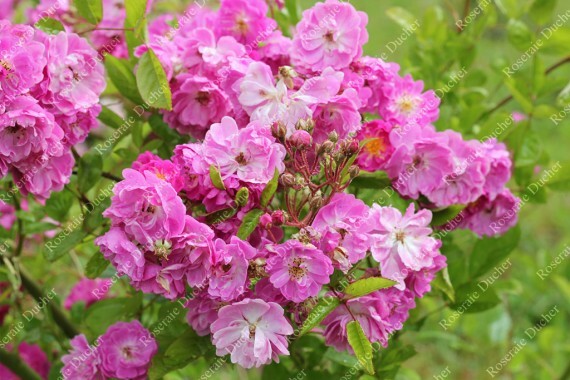 This rosebush has a pleasant musk perfume an is really blooming throughout the entire season.